We are proud to offer EMC Leeandra for sale. Leeandra was born on our Farm in 2003, and is the daughter of our foundation mare Treveri (Trapper) by ES Loerke. Because we planned to keep Leeandra for breeding, we did not start her under saddle as a youngster. However, after seeing how successful her full sister Larisa LS was as a 3 year old in dressage, we decided that Leeandra had abilities far beyond being a broodmare. 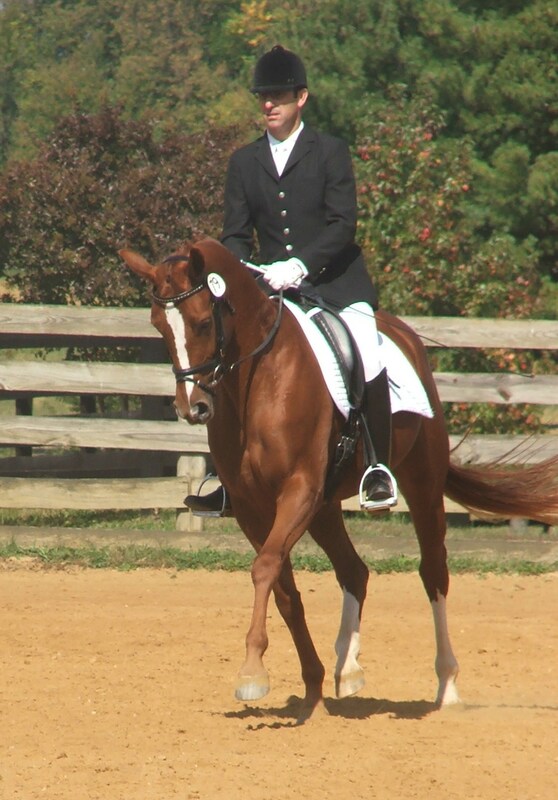 After only 3 months under saddle, Leeandra won the competitive AHS Mid-Atlantic Hanoverian Breeder’s Association Inspection and Mare Performance Test in Waterford, Virgina in 2009. She received extremely high nationally competitive scores with 8s (conformation and rideability), 9s (including head and neck), and a coveted 10 for “overall impression.” The German Judge commented that “10s are extremely rare.” Leeandra ranked 5th in the Nation as a Top AHS Inspection Mare for 2009. Leeandra was started under saddle and beautifully prepared for the Mare Performance Test by Todd Bryan and his team at The Bryan Center. 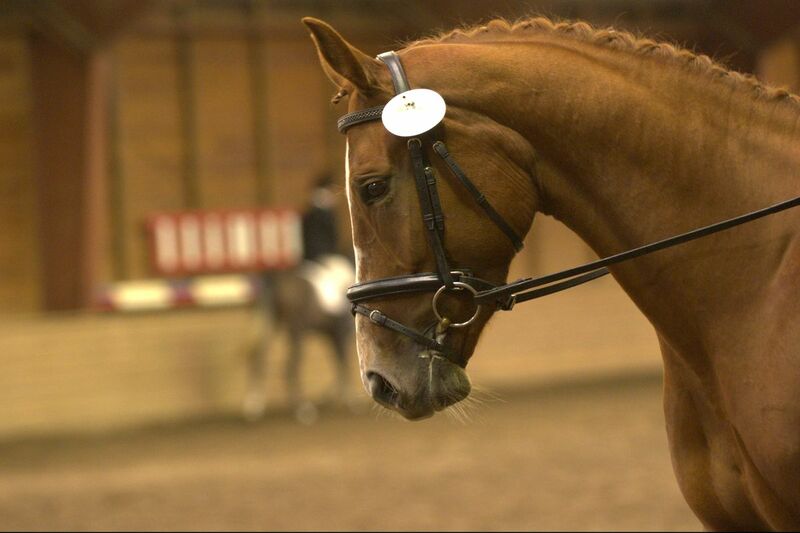 Leeandra advanced as quickly as she did under saddle due, in large part, to her temperament. Leeandra is laser focused on work and is extremely eager to please. She develops a true bond with her rider. Leeandra has three exquisite gaits. In particular, Leeandra has a stunning extended trot with significant reach and float. Leeandra has the classic Hanoverian mare look that was rewarded by the inspection judges. 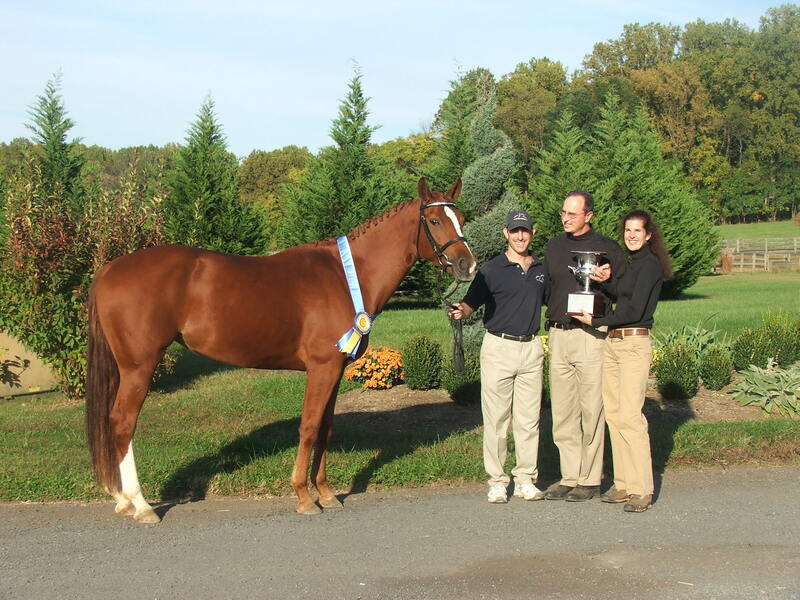 In the late fall of 2009, after her success at the AHS Mare Performance Test, we sent Leeandra to Thornridge Manor in Glen Arm, Maryland to continue her training and to be sold. We have worked with Thornridge Manor Owner and Head Trainer Phoebe DeVoe-Moore for years with our youngsters and we trust and respect her extensive knowledge and experience as an FEI rider and judge. Leeandra has been maturing and advancing in her riding at Thornridge and it has become clear that Leeandra has true FEI potential. 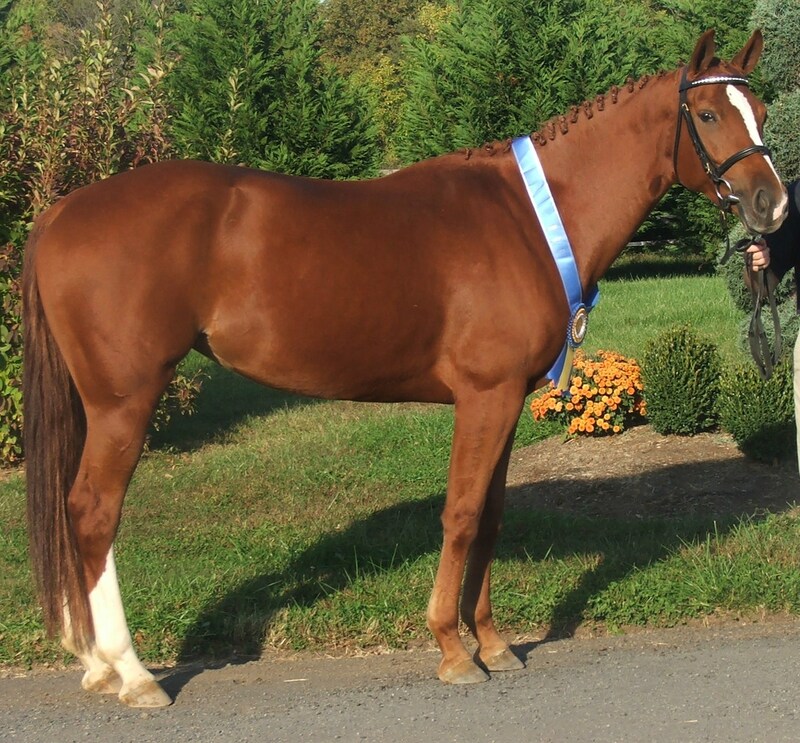 Leeandra also has the conformation, gaits, and strong mare line breeding to be an exceptional broodmare. Please follow these links to Leeandra’s pedigree, mare performance test scores, inspection scores, and video of her mare performance test – trot, canter, and jumps. We are thrilled that Leeandra is going to an outstanding new home with Julie and David Gabel of Bethlehem, Georgia. Leeandra will be Julie’s foundation mare. Congratulations and all the best with your beautiful girl.